NOTE: If you’re using a non-Linksys wireless router or access point, refer to your router’s documentation or contact your router’s manufacturer for assistance on getting these settings. To learn how to get the Wi-Fi settings of your Linksys wireless router, click here. To learn how to get the Wi-Fi settings of your Linksys access point, click here. Using an ethernet cable, connect the range extender to the computer. This will allow you to access its web-based setup page. NOTE: Images may vary depending on the type of computer you are using. In this example, a laptop computer is used. QUICK TIP: For optimum performance, it is recommended to use the Wireless-N range extender with a Wireless-N router. Enter “192.168.1.1” in the Address bar. NOTE: If the range extender is not yet configured, it will automatically redirect to the web-based setup page if you try to access any website. Leave the User name blank and enter “admin” in the Password field. NOTE: The Linksys RE1000 is used here as an example. Click on Wireless > Basic Wireless Settings. On the Configuration View section, click on the Manual radio button then enter your router’s Wi-Fi or Network Name (SSID) in the field provided. On the Wireless Security section, select the security mode that your router is using. 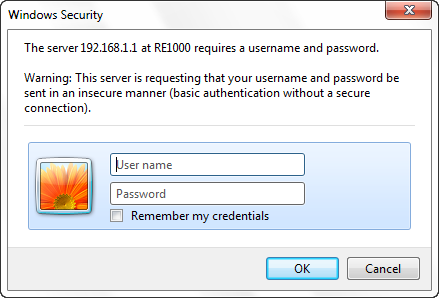 After selecting the security mode, enter the passphrase or Wi-Fi password that your router is using in the fields provided. NOTE: The Passphrase must consist of at least eight characters and is case-sensitive. NOTE: For optimum Wireless-N performance, it is recommended to use WPA/WPA2 wireless security on your router and range extender. Your range extender should now be synchronized with your router. Linksys Wireless-AC range extenders, such as Linksys RE6500, come with a browser-based setup that makes wireless range extenders easy to install. Click on the links below to know how to set up your Linksys Wireless-AC range extender. 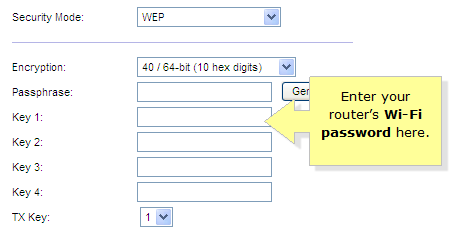 You can also set up your range extender using the Wi-Fi Protected Setup™ (WPS). To know how, click here. Was this support article useful? Please tell us how we can make this article useful. Belkin International, Inc., including all affiliates and subsidiaries (“Belkin”, “us” or “we”) thanks you for choosing one of our Belkin, Linksys or WeMo products (the “Product”). This End-User License Agreement (this “Agreement”) is a legal document that contains the terms and conditions under which limited use of certain Software (as defined below) that operates with the Product is licensed to you. PLEASE READ THIS AGREEMENT CAREFULLY BEFORE INSTALLING OR USING THIS PRODUCT. BY CHECKING THE BOX OR CLICKING THE BUTTON TO CONFIRM YOUR ACCEPTANCE WHEN YOU FIRST INSTALL THE SOFTWARE, YOU ARE AGREEING TO ALL THE TERMS OF THIS AGREEMENT. ALSO, BY USING, COPYING OR INSTALLING THE SOFTWARE, YOU ARE AGREEING TO ALL THE TERMS OF THIS AGREEMENT. IF YOU DO NOT AGREE TO ALL OF THESE TERMS, DO NOT CHECK THE BOX OR CLICK THE BUTTON AND/OR DO NOT USE, COPY OR INSTALL THE SOFTWARE, AND UNINSTALL THE SOFTWARE FROM ALL DEVICES THAT YOU OWN OR CONTROL. IF YOU DO NOT ACCEPT THE TERMS OF THIS AGREEMENT AND YOU PURCHASED A PRODUCT CONTAINING THE SOFTWARE FROM AN AUTHORIZED RETAILER, RESELLER OR APP STORE (AS DEFINED BELOW), YOU MAY BE ELIGIBLE TO RETURN THE PRODUCT FOR A REFUND, SUBJECT TO THE TERMS AND CONDITIONS OF THE APPLICABLE RETURN POLICY. This product is Software licensed to you by Belkin and, where applicable, by Belkin’s suppliers. “Software” means any and all firmware programs and associated files provided with respect to the Product; any and all software programs, applications or “apps” and associated files provided with respect to the Product; all modified versions of and upgrades or improvements to such programs (such as those provided via web-based updates), all subsequent versions of such programs, and all copies of such programs and files. Software does not include any Open Source Software (as defined below). By “you,” we mean the purchaser, recipient or other end user of the Product containing the Software or the purchaser, recipient or other end user of the Software on a standalone basis. “You” may also mean a person who has downloaded the Software from an authorized website, such as http://www.belkin.com or from an authorized application market or store, such as Apple’s App Store or Google Play (each such application market or store is referred to in this Agreement as an “App Store” and collectively as “App Stores”). 1. LICENSE GRANT. Belkin hereby grants you the right to use: (i) where your Product is not a “Small-Medium Business or SMB” branded Product, for your personal, non-commercial purposes; or (ii) where your Product is a “Small Medium Business or SMB Product, for your personal or commercial use; copies of the Software in object code form on devices that you own (or, in the case of firmware, one copy of the firmware in object code form solely on the Product relating to the firmware). As part of this license, you may (A) operate the Software in the manner described in the user documentation for the Software; (B) where the Software is provided for download onto a personal computer or mobile device, make as many copies of the Software as you reasonably need for your own use (this does not include firmware); and (C) permanently transfer all of your rights to use the Product (including but not limited to the Software) to another person, so long as that person also agrees to be bound by this Agreement, and following such transfer you stop using the Product and the Software. You can find the user documentation for the Software on the “Support” page of the applicable Belkin website. 2. LICENSE RESTRICTIONS. The Software is licensed, not sold, to you. You only have the non-exclusive right to use the Software in accordance with this Agreement. You may not (i) modify, adapt or otherwise create derivative works from the Software, the Product containing the Software or user documentation (except as may be permitted by an applicable open source license) without receiving prior written consent from Belkin to make any such modifications: (ii) lease, sublicense, resell, rent, loan, redistribute, or otherwise transfer (except as expressly permitted above), whether for commercial purposes or otherwise, the Software or user documentation; (iii) reverse engineer, disassemble, decrypt or decompile the Product or the Software or otherwise try to reduce the Software to a human-readable form, except where and only to the extent that such activity is permitted by applicable law or where Belkin is required to permit such activity under the terms of an applicable open source license; (iv) remove or alter any copyright, trademark or other proprietary notices contained in the Software or user documentation; (v) use the Product, Software or user documentation to develop a competing hardware and/or software product, or otherwise in any manner not set forth in this Agreement or the user documentation; (vi) if the Software is firmware, copy the firmware (other than one backup copy for archival purposes only), use it on a multi-user system or operate it separately from the Product onto which it is embedded; (vii) use the Software to transmit software viruses or other harmful computer code, files or programs, or to circumvent, disable or otherwise interfere with security-related features of the Software; (viii) use the Software to collect or harvest any third party’s personally identifiable information, to send unauthorized commercial communications or to invade the privacy rights of any third party; or (ix) use the Software for any unlawful purpose, and/or in any manner that breaches this Agreement. All rights not expressly granted to you by Belkin under this Agreement are hereby reserved by Belkin. You will not acquire such rights, whether through estoppel, implication, or otherwise. 4. UPGRADES AND UPDATES. While Belkin is not required to do so, Belkin may provide you with upgrades or updates to this Software. This Agreement will govern any upgrades provided by Belkin that replace and/or supplement the original firmware and/or Software, unless such upgrade is accompanied by a separate end user license agreement, in which case the terms of that end user license agreement will govern. If you decide not to download and use an upgrade or update provided by Belkin, you understand that you could put the Software at risk to serious security threats or cause the Software to become unusable or unstable. Some Products include an auto-update feature, which gives us the ability to make updates automatically. You can change auto-update options by changing your settings within the Product account information. In very limited cases, updates may still be automatically applied, regardless of the auto-update setting. For example, we may provide an automatic update that fixes a security breach or vulnerability to your network. We may also provide you with updated Software data files automatically to benefit you, such as to provide you with updated device information to identify new devices in your network. These data files do not update your firmware, but consist of Software files that are cached on your Product and override older files. By agreeing to this Agreement, you agree to automatic updates. 6. OPEN SOURCE SOFTWARE. You hereby acknowledge that the Software may contain Open Source Software (as defined below). This license does not apply to Open Source Software contained in the Software. Rather, the terms and conditions in the applicable Open Source Software license shall apply to the Open Source Software. Nothing in this Agreement limits your rights under, or grants you rights that supersede, any Open Source Software license. You acknowledge that the Open Source Software license is solely between you and the applicable licensor of the Open Source Software. You shall comply with the terms of all applicable Open Source Software licenses, if any. License and copyright information for the Open Source Software are disclosed in the Product documentation, within the “Support” tab on Belkin websites and within the “Contact Us” section on Linksys websites. Belkin is not obligated to provide any maintenance or support for the Open Source Software or any Product Software that has been modified by you pursuant to an Open Source Software license. “Open Source Software” means any software or software component or technology that is subject to an open source license. Open source licenses are generally licenses that make source code available for free modification and distribution, but can also apply to technology received and distributed solely in object code form. Examples of open source licenses include: (a) GNU's General Public License (GPL) or Lesser/Library GPL (LGPL); (b) the OpenSSL License; (c) the Mozilla Public License; (d) the Berkeley Software Distribution (BSD) License; and (e) the Apache License. 7. INTELLECTUAL PROPERTY RIGHTS. All title and intellectual property rights (including without limitation all copyrights, patents, trade secret rights and trademark rights) in and to the Software (including but not limited to any content incorporated into the Software), the accompanying printed materials, and any copies of the Software, are owned by Belkin or its suppliers. Therefore, you must treat the Software like any other material protected by laws and treaties relating to international property rights and in accordance with this Agreement. 9. INDEMNITY. If Belkin is the subject of a claim, becomes involved in a legal proceeding, or suffers any economic loss or damage as a result of your violation of this Agreement, to the extent permitted by law, you will be responsible for compensating Belkin for the full amount of its loss, as well as any reasonable amounts Belkin incurs in lawyers' fees, expenses and court costs, except to the extent that Belkin contributed to the loss or damage. 10. TERM. This Agreement is effective when you click on the “I Accept” button, or when you in any other way use, copy or install the Software, which will constitute your acceptance of, and agreement to, this Agreement. Once accepted, this Agreement remains in effect until terminated. The limited license in this Agreement will be automatically terminated if you fail to comply with any of the terms and conditions in this Agreement. You agree that upon such termination, you will immediately destroy all programs and documentation that relate to the Software, including all copies made or obtained by you, and otherwise cease use of the Software. If the Software has been installed on a personal computer or mobile device, you must uninstall the Software immediately. If the Software is software or firmware embedded on a Product, you must stop using the Product. All provisions of this Agreement except for Section 1 and the limited warranty in Section 12 (the first paragraph) will survive termination. 11. IMPORTANT NOTICE REGARDING YOUR CONSUMER RIGHTS. SOME COUNTRIES, STATES AND/OR PROVINCES DO NOT ALLOW THE EXCLUSION OR LIMITATION OF CERTAIN CONDITIONS, WARRANTIES OR GUARANTEES, AND/OR DO NOT ALLOW PRODUCTS OR SERVICES TO BE SOLD WITH NO WARRANTIES OR GUARANTEES. ACCORDINGLY, IF THESE LAWS APPLY TO YOU, SOME OR ALL OF THE SECTIONS BELOW ENTITLED “LIMITED WARRANTY AND DISCLAIMER” AND “GENERAL EXCLUSIONS AND LIMITATION OF LIABILITY” MAY NOT APPLY TO YOU. ONLY THOSE EXCLUSIONS AND LIMITATIONS THAT ARE LAWFUL IN YOUR JURISDICTION WILL APPLY TO YOU AND, IN SUCH INSTANCES, BELKIN’S LIABILITY WILL BE LIMITED ONLY TO THE MAXIMUM EXTENT PERMITTED BY LAW. THE ENFORCEABILITY OF THESE LIMITED WARRANTIES MAY VARY BASED ON THE LOCAL LAWS APPLICABLE TO YOU, AND YOU MAY HAVE ADDITIONAL RIGHTS DEPENDING ON WHERE YOU LIVE. FOR EXAMPLE, IN AUSTRALIA AND NEW ZEALAND, OUR SOFTWARE AND THE MEDIA ON WHICH IT IS PROVIDED COME WITH STATUTORY GUARANTEES, INCLUDING AS TO QUALITY AND FITNESS FOR PURPOSE, WHICH CANNOT BE EXCLUDED OR LIMITED UNDER THE AUSTRALIAN CONSUMER LAW OR THE CONSUMER GUARANTEES ACT 1993 (NEW ZEALAND) (AS FURTHER EXPLAINED BELOW). THIS AGREEMENT IS NOT INTENDED TO AND DOES NOT: (I) CHANGE OR EXCLUDE ANY STATUTORY CONSUMER RIGHTS THAT CANNOT BE LAWFULLY CHANGED OR EXCLUDED; OR (II) LIMIT OR EXCLUDE ANY RIGHT YOU HAVE AGAINST THE PERSON WHO SOLD THE PRODUCT TO YOU IF THAT PERSON HAS BREACHED ANY SALES CONTRACT WITH YOU. YOU AGREE TO USE THE SOFTWARE IN COMPLIANCE WITH ALL APPLICABLE LAWS, INCLUDING LOCAL LAWS OF THE COUNTRY OR REGION IN WHICH YOU LIVE OR IN WHICH YOU DOWNLOAD OR USE THE SOFTWARE. CERTAIN LEGISLATION, INCLUDING THE AUSTRALIAN CONSUMER LAW AND THE CONSUMER GUARANTEES ACT 1993 (NEW ZEALAND) (“CGA”) MAY IMPLY WARRANTIES OR CONDITIONS, OR IMPOSE GUARANTEES OR OBLIGATIONS ON BELKIN, WHICH OPERATE TO PROTECT CERTAIN AUSTRALIAN OR NEW ZEALAND PURCHASERS OF GOODS AND SERVICES IN VARIOUS CIRCUMSTANCES ("AU/NZ APPLICABLE LAWS"). NOTHING IN THIS AGREEMENT EXCLUDES, RESTRICTS OR MODIFIES ANY CONDITION, WARRANTY, GUARANTEE, RIGHT OR REMEDY IMPLIED OR IMPOSED BY ANY AU/NZ APPLICABLE LAWS WHICH CANNOT LAWFULLY BE EXCLUDED, RESTRICTED OR MODIFIED. If any condition, warranty or guarantee is implied into this Agreement or imposed on Belkin under AU/NZ Applicable Laws and cannot be excluded, but Belkin has a choice of a remedy, then Belkin’s liability for breach of the condition, warranty or guarantee is limited to one or more of the following, at Belkin’s option: (a) in the case of goods, the replacement of the goods or the supply of equivalent goods, the repair of the goods or refunding the payment for the goods if it would be unreasonable to expect the products to be repaired; or (b) in the case of services, the supplying of the services again, or the payment of the cost of having the services supplied again. In addition to these remedies a "consumer" (within the meaning of the CGA) may claim for any reasonably foreseeable loss (other than loss or damage through reduction of value of the goods) that results from the initial problem. 12. LIMITED WARRANTY AND DISCLAIMER. Belkin warrants that any media (such as a CD or USB stick) on which the Software is provided will be free from defects in materials and workmanship under normal use for 90 days from the date of its original purchase (the “Warranty Period”). If you make an eligible software media claim under this warranty during the Warranty Period (the “Limited Warranty”), Belkin will honor this warranty by replacing the Software media. To make a claim under this Limited Warranty, return the defective media along with the sales receipt directly to Belkin at the following address: Belkin International, Inc., 12045 E. Waterfront Drive, Playa Vista, CA 90094. This Limited Warranty is void if failure of the media has resulted from accident, abuse, or misapplication. Any replacement media will be warranted for the remainder of the original Warranty Period or thirty (30) days, whichever is longer. In relation to consumers who are entitled to the benefit of the CGA, the media on which Software is provided comes with guarantees that cannot be excluded under New Zealand law, and this Limited Warranty is in addition to any statutory rights such consumers may have under New Zealand law. This Limited Warranty does not apply in Australia. Consumers in Australia have statutory rights in relation to the Software and media on which the Software is provided under the Australian Consumer Law. EXCEPT FOR THIS LIMITED WARRANTY ON MEDIA, SUBJECT TO SECTION 11 AND TO THE MAXIMUM EXTENT PERMITTED BY APPLICABLE LAW, THE SOFTWARE AND ANY RELATED PROGRAMS AND DOCUMENTATION IS PROVIDED TO YOU “AS IS,” WITH ALL FAULTS AND WITHOUT WARRANTIES OF ANY KIND. IN THOSE JURISDICTIONS WHERE IT CAN LAWFULLY DO SO, AND TO THE MAXIMUM EXTENT PERMITTED BY APPLICABLE LAW, BELKIN, ITS RESELLERS AND ITS SUPPLIERS HEREBY DISCLAIM AND EXCLUDE ALL OTHER WARRANTIES, EXPRESS, STATUTORY OR IMPLIED, INCLUDING BUT NOT LIMITED TO THE IMPLIED WARRANTIES OF MERCHANTABILITY, ACCEPTABLE OR SATISFACTORY QUALITY, NON-INFRINGEMENT, TITLE, FITNESS FOR A PARTICULAR PURPOSE, LOSS OF OR DAMAGE TO DATA, LACK OF VIRUSES OR FREE FROM VIRUS OR MALWARE ATTACK, SECURITY, PERFORMANCE, LACK OF NEGLIGENCE, WORKMANLIKE EFFORT, QUIET ENJOYMENT, THAT THE FUNCTIONS CONTAINED IN THE SOFTWARE WILL MEET YOUR REQUIREMENTS, OR THAT YOUR USE OF OR THE PERFORMANCE OF THE SOFTWARE AND RELATED INFORMATION, PROGRAMS AND DOCUMENTATION WILL BE UNINTERRUPTED OR ERROR-FREE, OR THAT DEFECTS IN THE SOFTWARE WILL BE CORRECTED, OR THAT YOUR USE OF THE SOFTWARE AND RELATED INFORMATION, PROGRAMS AND DOCUMENTATION WILL GENERATE ACCURATE, RELIABLE, TIMELY RESULTS, INFORMATION, MATERIAL OR DATA. NO ORAL OR WRITTEN INFORMATION OR ADVICE GIVEN BY BELKIN, A DEALER, AGENT OR AFFILIATE SHALL CREATE A WARRANTY. To the extent warranties cannot be disclaimed or excluded, they are limited to the duration of the relevant Warranty Period. YOUR USE OF THE SOFTWARE, PRODUCT AND RELATED PROGRAMS AND DOCUMENTATION IS AT YOUR OWN RISK AND DISCRETION. YOU ARE SOLELY RESPONSIBLE FOR (AND BELKIN DISCLAIMS) ANY AND ALL LOSS, LIABILITY, OR DAMAGES, INCLUDING TO YOUR HOME, HVAC SYSTEM, ELECTRICAL SYSTEM, PLUMBING, PRODUCT, OTHER PERIPHERALS CONNECTED TO THE PRODUCT, COMPUTER, MOBILE DEVICE, AND ALL OTHER ITEMS AND PETS IN YOUR HOME, RESULTING FROM YOUR MISUSE OF THE SOFTWARE, PRODUCT AND RELATED PROGRAMS AND DOCUMENTATION. YOU ARE RESPONSIBLE FOR COMPLYING WITH ANY SAFETY WARNINGS AND PRECAUTIONS THAT ACCOMPANY THE PRODUCT. IF YOU ARE NOT COMFORTABLE WITH USING THE PRODUCT AFTER READING THE SAFETY WARNINGS, YOU MUST RETURN THE PRODUCT TO YOUR PLACE OF PURCHASE AND STOP USING THE SOFTWARE. BELKIN IS NOT RESPONSIBLE FOR (I) YOUR FAILURE TO FOLLOW SAFETY WARNINGS, PRECAUTIONS OR ANY OTHER INSTRUCTIONS PROVIDED WITH THE PRODUCT AND/OR SOFTWARE, (II) YOUR NEGLIGENCE IN USE OF THE PRODUCT AND/OR SOFTWARE, OR (III) YOUR INTENTIONAL MISUSE OF THE PRODUCT OR SOFTWARE. YOU FURTHER ACKNOWLEDGE THAT THE SOFTWARE AND ANY RELATED PROGRAMS AND DOCUMENTATION ARE NOT CERTIFIED FOR EMERGENCY RESPONSE OR INTENDED OR SUITABLE FOR USE IN SITUATIONS OR ENVIRONMENTS WHERE FAILURE, DELAY OR ERRORS OR INACCURACIES IN THE DATA OR INFORMATION PROVIDED BY THE SOFTWARE COULD LEAD TO DEATH, PERSONAL INJURY OR SEVERE PHYSICAL OR ENVIRONMENTAL DAMAGE, INCLUDING WITHOUT LIMITATION IN CONNECTION WITH THE OPERATION OF NUCLEAR FACILITIES, AIRCRAFT NAVIGATION OR COMMUNICATION SYSTEMS, AIR TRAFFIC CONTROL, LIFE SUPPORT OR WEAPONS SYSTEMS. YOU UNDERSTAND THAT THE PRODUCTS AND SOFTWARE ARE NOT PART OF AND DO NOT CONTAIN A THIRD-PARTY MONITORED EMERGENCY NOTIFICATION SYSTEM. BELKIN DOES NOT MONITOR EMERGENCY NOTIFICATIONS AND WILL NOT DISPATCH EMERGENCY AUTHORITIES TO YOUR HOME IN THE EVENT OF AN EMERGENCY. BELKIN CUSTOMER SUPPORT CONTACTS CANNOT BE CONSIDERED A LIFESAVING SOLUTION AND THEY ARE NOT A SUBSTITUTE FOR EMERGENCY SERVICES. ALL LIFE THREATENING AND EMERGENCY SITUATIONS SHOULD BE DIRECTED TO THE APPROPRIATE EMERGENCY RESPONSE SERVICES IN YOUR AREA. It is your responsibility to back up your system, including without limitation, any material, information or data that you may use or possess in connection with the Product or Software, and Belkin shall have no liability for your failure to back up your system or any material, information or data. Some Belkin Products and Software may monitor energy consumption in the home. Belkin does not guarantee or promise any specific level of energy savings or other monetary benefit from the use of the Products or Software or any other feature. Actual energy savings and any associated monetary benefits vary based on factors beyond Belkin’s control or knowledge. From time to time, Belkin may use the Software to provide you with information that is unique to you and your energy usage and suggests an opportunity to save money on energy bills if you adopt suggestions or features of the Product or Software. You acknowledge that this information is not a guarantee of actual savings, and you agree not to seek monetary or other remedies from Belkin if your savings differs. All information provided to you by Belkin is provided “as is” and “as available”. We cannot guarantee that it is correct or up to date. In cases where it is critical, accessing information through the Software is not a substitute for direct access of the information in the home. 13. GENERAL EXCLUSIONS AND LIMITATION OF LIABILITY: SOME JURISDICTIONS DO NOT ALLOW THE EXCLUSION OR LIMITATION OF IMPLIED WARRANTIES OR OF LIABILITY FOR INCIDENTAL OR CONSEQUENTIAL DAMAGES, SO THE FOREGOING LIMITATIONS OR EXCLUSIONS MAY NOT APPLY TO YOU. THIS AGREEMENT GIVES YOU SPECIFIC LEGAL RIGHTS WHICH VARY FROM JURISDICTION TO JURISDICTION. TO THE MAXIMUM EXTENT PERMITTED BY APPLICABLE LAW, IN NO EVENT SHALL BELKIN, ITS AFFILIATES, ASSOCIATES, DEALERS, AGENTS OR SUPPLIERS OR THEIR RESPECTIVE OFFICERS, DIRECTORS, EMPLOYEES, LICENSORS AND ASSIGNS BE LIABLE FOR ANY INDIRECT, EXEMPLARY, PUNITIVE, SPECIAL, INCIDENTAL OR CONSEQUENTIAL DAMAGES WHATSOEVER (INCLUDING BUT NOT LIMITED TO DAMAGES FOR LOSS OF PROFITS OR REVENUE, FOR BUSINESS INTERRUPTION, FOR PERSONAL INJURY, FOR LOSS OF PRIVACY, FOR LOSS OF ABILITY TO USE ANY THIRD PARTY PRODUCTS OR SERVICES, FOR FAILURE TO MEET ANY DUTY INCLUDING OF GOOD FAITH OR OF REASONABLE CARE, FOR NEGLIGENCE, AND FOR ANY OTHER PECUNIARY OR OTHER LOSS WHATSOEVER), REGARDLESS OF THE THEORY OF LIABLITY (CONTRACT, TORT OR OTHERWISE) ARISING OUT OF OR IN ANY WAY RELATED TO THE USE OF OR INABILITY TO USE THE SOFTWARE, EVEN IF BELKIN OR SUCH OTHER ENTITIES HAVE BEEN ADVISED OF THE POSSIBILITY OF SUCH DAMAGES. IN NO EVENT SHALL THE TOTAL AGGREGATE LIABILITY OF BELKIN, ITS AFFILIATES, ASSOCIATES, DEALERS, AGENTS OR SUPPLIERS TO YOU FOR ALL DAMAGES EXCEED THE LESSER OF FIFTY DOLLARS ($50.00) OR THE PRICE YOU PAID FOR THE PRODUCT, THE SOFTWARE OR THE MEDIA CONTAINING THE SOFTWARE. THIS LIMITATION IS CUMULATIVE AND WILL NOT BE INCREASED BY THE EXISTENCE OF MORE THAN ONE INCIDENT OR CLAIM. THE FOREGOING LIMITATIONS WILL APPLY EVEN IF ANY WARRANTY OR REMEDY PROVIDED FAILS OF ITS ESSENTIAL PURPOSE. NOTHING IN THIS SECTION IS INTENDED TO LIMIT THE LIABILITY, UNDER APPLICABLE LAW, OF BELKIN IN RELATION TO DEATH OR BODILY INJURIES. IF YOU LIVE IN THE EUROPEAN UNION, REFERENCES TO "SPECIAL, INDIRECT, CONSEQUENTIAL, PUNITIVE OR INCIDENTAL DAMAGES" SHALL MEAN ANY LOSSES WHICH (I) WERE NOT REASONABLY FORESEEABLE BY BOTH PARTIES; (II) WERE KNOWN TO YOU BUT NOT TO US; AND/OR (III) WERE REASONABLY FORESEEABLE BY BOTH PARTIES BUT COULD HAVE BEEN PREVENTED BY YOU SUCH AS, FOR EXAMPLE (BUT WITHOUT LIMITATION), LOSSES CAUSED BY VIRUSES, MALWARE OR OTHER MALICIOUS PROGRAMS, OR LOSS OF OR DAMAGE TO YOUR DATA. The warranties and remedies set out in this Agreement are exclusive, and, to the extent permitted by law, in lieu of all others oral or written, express or implied. 14. EXPORT CONTROL LAWS: You agree that the use of the Software is subject to U.S. and local export control laws and regulations. You represent and warrant that you are not a citizen of an embargoed or “terrorist supporting” country or a prohibited or restricted end user under applicable U.S. or local export and anti-terrorism laws, regulations and lists. You agree to strictly comply with all export control laws and regulations and agree not to export, re-export, divert, transfer or disclose any portion of the Software or any related technical information or materials, directly or indirectly, in violation of any applicable export law or regulation. 15. U.S. GOVERNMENT USERS: The Software and user documentation qualify as “commercial items” as defined at 48 C.F.R. 2.101 and 48 C.F.R. 12.212. All U.S. Government users acquire the Software and user documentation with only those rights herein that apply to non-governmental customers. Use of either the Software or user documentation or both constitutes agreement by the U.S. Government that the Software and user documentation are “commercial computer software” and “commercial computer software documentation,” and constitutes acceptance of the rights and restrictions herein. 17. ARBITRATION, WAIVER OF CLASSWIDE ARBITRATION, GOVERNING LAW & VENUE. (A) GENERALLY. SUBJECT TO CLAUSE 17(D) BELOW, YOU AND BELKIN EACH ACKNOWLEDGE AND AGREE THAT ANY CLAIM, DISPUTE OR CONTROVERSY BETWEEN YOU AND BELKIN ARISING OUT OF OR RELATING TO (1) THIS AGREEMENT, INCLUDING THE VALIDITY OF THIS SECTION, AND (2) YOUR USE OF SOFTWARE AND/OR PRODUCT(S) UNDER THIS AGREEMENT (COLLECTIVELY, THE “DISPUTE”) SHALL BE RESOLVED EXCLUSIVELY AND FINALLY BY BINDING ARBITRATION ADMINISTERED BY JAMS, A NATIONALLY RECOGNIZED ARBITRATION AUTHORITY, PURSUANT TO ITS CODE OF PROCEDURES THEN IN EFFECT FOR CONSUMER-RELATED DISPUTES. YOU UNDERSTAND THAT WITHOUT THIS PROVISION YOU WOULD HAVE HAD A RIGHT TO LITIGATE A DISPUTE THROUGH A COURT BEFORE A JURY OR JUDGE, AND THAT YOU HAVE EXPRESSLY AND KNOWINGLY WAIVED THOSE RIGHTS AND AGREE INSTEAD TO RESOLVE ANY DISPUTES THROUGH BINDING ARBITRATION IN ACCORDANCE WITH THE PROVISIONS OF THIS SECTION. (B) ARBITRATION PROCEDURES AND FEES. PRIOR TO SUBMITTING A CLAIM FOR ARBITRATION, EITHER PARTY SHALL FIRST NOTIFY THE OTHER PARTY TO TRY TO RESOLVE THE DISPUTE. IF THE DISPUTE IS NOT RESOLVED WITHIN 60 DAYS OF SUCH NOTIFICATION, THEN THE CLAIM WILL BE SUBMITTED FOR ARBITRATION. THE ARBITRATION OF ANY DISPUTE OR CLAIM SHALL BE CONDUCTED IN ACCORDANCE WITH THE THEN CURRENT AND APPLICABLE RULES OF JAMS AS MODIFIED BY THIS AGREEMENT. THE ARBITRATION SHALL OCCUR BEFORE A SINGLE ARBITRATOR, WHO MUST BE A RETIRED JUDGE OR JUSTICE, IN ONE OF SIX REGIONAL VENUES CONSISTENT WITH THE VENUE PROVISION BELOW. WHETHER OR NOT YOU PREVAIL IN THE DISPUTE, SO LONG AS YOUR CLAIM IS NOT FOUND TO BE FRIVOLOUS BY THE ARBITRATOR AS MEASURED BY RULE 11(b) OF THE FEDERAL RULES OF CIVIL PROCEDURE, YOU SHALL BE ENTITLED TO BE REIMBURSED FOR YOUR COSTS OF ARBITRATION, WITHIN THE SOLE DISCRETION OF THE ARBITRATOR. IF THE ARBITRATION AWARD IS EQUAL TO OR GREATER THAN THE AMOUNT YOU DEMANDED IN YOUR ARBITRATION CLAIM, BELKIN WILL PAY FOR YOUR REASONABLE AND ACTUAL ATTORNEYS’ FEES YOU HAVE INCURRED TO ARBITRATE THE DISPUTE, PLUS A MINIMUM RECOVERY OF $2,500. ANY DECISION OR AWARD BY THE ARBITRATOR RENDERED IN AN ARBITRATION PROCEEDING SHALL BE FINAL AND BINDING ON EACH PARTY, AND MAY BE ENTERED AS A JUDGMENT IN ANY COURT OF COMPETENT JURISDICTION. IF EITHER PARTY BRINGS A DISPUTE IN A COURT OR OTHER NON-ARBITRATION FORUM, THE ARBITRATOR OR JUDGE MAY AWARD THE OTHER PARTY ITS REASONABLE COSTS AND EXPENSES (INCLUDING BUT NOT LIMITED TO ATTORNEYS’ FEES) INCURRED IN ENFORCING COMPLIANCE WITH THIS BINDING ARBITRATION PROVISION, INCLUDING STAYING OR DISMISSING SUCH DISPUTE. ANY ARBITRATION SHALL BE CONFIDENTIAL, AND NEITHER YOU, NOR BELKIN NOR THE ARBITRATOR MAY DISCLOSE THE EXISTENCE, CONTENT OR RESULTS OF ANY ARBITRATION, EXCEPT AS MAY BE REQUIRED BY LAW OR FOR PURPOSES OF ENFORCEMENT OR APPEAL OF THE ARBITRATION AWARD. JUDGMENT ON ANY ARBITRATION AWARD MAY BE ENTERED IN ANY COURT HAVING PROPER JURISDICTION. IF ANY PORTION OF THIS ARBITRATION CLAUSE IS DETERMINED BY A COURT TO BE INAPPLICABLE OR INVALID, THEN THE REMAINDER SHALL STILL BE GIVEN FULL FORCE AND EFFECT. (C) WAIVER OF CLASSWIDE CLAIMS; SMALL CLAIMS COURT. NEITHER YOU NOR BELKIN SHALL BE ENTITLED TO JOIN OR CONSOLIDATE CLAIMS IN ARBITRATION BY OR AGAINST OTHER CONSUMERS OR ARBITRATE ANY CLAIMS AS A REPRESENTATIVE OR MEMBER OF A CLASS OR IN A PRIVATE ATTORNEY GENERAL CAPACITY. YOU UNDERSTAND THAT WITHOUT THIS PROVISION YOU MAY HAVE HAD A RIGHT TO ARBITRATE A DISPUTE ON A CLASSWIDE OR REPRESENTATIVE BASIS, AND THAT YOU HAVE EXPRESSLY AND KNOWINGLY WAIVED THOSE RIGHTS AND AGREE INSTEAD TO ARBITRATE ONLY YOUR OWN DISPUTE(S) IN ACCORDANCE WITH THE PROVISIONS OF THIS SECTION. NOTWITHSTANDING THE ABOVE AGREEMENT TO ARBITRATE DISPUTES, YOU AND BELKIN EACH ACKNOWLEDGE AND AGREE THAT EITHER PARTY MAY, AS AN ALTERNATIVE TO ARBITRATION, BRING AN INDIVIDUAL ACTION IN SMALL CLAIMS COURT TO RESOLVE A DISPUTE, SO LONG AS SUCH SMALL CLAIMS COURT DOES NOT PROVIDE FOR OR ALLOW FOR JOINDER OR CONSOLIDATION OF CLAIMS. (D) GOVERNING LAW; INJUNCTIVE RELIEF. THIS AGREEMENT IS TO BE CONSTRUED IN ACCORDANCE WITH AND GOVERNED BY THE LAWS OF THE STATE OF CALIFORNIA WITHOUT GIVING EFFECT TO ANY CONFLICT OF LAW RULE THAT WOULD CAUSE THE APPLICATION OF THE LAWS OF ANY JURISDICTION TO THE RIGHTS AND DUTIES OF THE PARTIES. HOWEVER, WITH RESPECT TO SOFTWARE PROVIDED, IF YOU ARE A CONSUMER AND YOU LIVE IN A COUNTRY WHERE BELKIN MARKETS OR PROMOTES THE SOFTWARE, LOCAL LAW MAY REQUIRE THAT CERTAIN CONSUMER PROTECTION LAWS OF YOUR COUNTRY OF RESIDENCE APPLY TO SOME SECTIONS OF THIS AGREEMENT. IN ADDITION, BELKIN MAY SEEK INJUNCTIVE RELIEF IN ANY COURT HAVING JURISDICTION TO PROTECT ITS INTELLECTUAL PROPERTY RIGHTS. EACH OF THE UNITED NATIONS CONVENTION ON CONTRACTS FOR THE INTERNATIONAL SALE OF GOODS AND THE UNITED NATIONS CONVENTION ON THE LIMITATION PERIOD IN THE INTERNATIONAL SALE OF GOODS IS HEREBY EXPRESSLY EXCLUDED AND WILL NOT APPLY TO THIS AGREEMENT. (E) VENUE. EXCEPT FOR INDIVIDUAL SMALL CLAIMS ACTIONS WHICH CAN BE BROUGHT IN ANY SMALL CLAIMS COURT WHERE JURISDICTION AND VENUE ARE PROPER, ANY ARBITRATION, LEGAL SUIT, ACTION OR PROCEEDING ARISING OUT OF OR RELATING TO THIS AGREEMENT OR ANY DISPUTE SHALL BE COMMENCED IN (1) NEW YORK, NEW YORK, (2) ATLANTA, GEORGIA, (3) CHICAGO, ILLINOIS, (4) DALLAS, TEXAS, (5) SEATTLE, WASHINGTON, OR (6) LOS ANGELES, CALIFORNIA, AND YOU AND BELKIN EACH IRREVOCABLY SUBMIT TO THE EXCLUSIVE JURISDICTION AND VENUE OF ANY SUCH PROCEEDING. HOWEVER, FOR A DISPUTE OF $10,000 OR LESS, YOU MAY CHOOSE WHETHER THE ARBITRATION IN ANY OF THE SIX REGIONAL VENUES PROCEEDS IN PERSON, BY TELEPHONE, OR BASED ONLY ON SUBMISSIONS. 18. GOVERNING LAW. This Agreement will be governed by California law, without reference to its or any other jurisdiction’s conflict of laws principles. Any action arising out of or relating to this Agreement may be brought exclusively in the appropriate state or federal court in Los Angeles, California, and Belkin and you irrevocably consent to the jurisdiction of such courts and venue in Los Angeles, California. However, if you are a consumer and you live in a country where Belkin markets or distributes the Software, local law may require that certain consumer protection laws of your country of residence apply to some sections of this Agreement. In addition, Belkin may seek injunctive relief in any court having jurisdiction to protect its intellectual property rights. Each of the United Nations Convention on Contracts for the International Sale of Goods and the United Nations Convention on the Limitation Period in the International Sale of Goods is hereby expressly excluded and will not apply to this Agreement. BELKIN, LINKSYS, WEMO and many product names and logos are trademarks of the Belkin group of companies. Third-party trademarks mentioned are the property of their respective owners. © 2014 Belkin International, Inc. and/or its affiliates. All rights reserved. Speak to a Customer Support Agent via phone. Chat with a customer support agent directly from your desktop. I have a question about a Linksys product or a Linksys Store promotion. Get help with an issue or learn how to maximise the potential of my Linksys product. Post your question to Twitter anytime. Support available in English / Español / Français / Deutsch / Nederlands. Exchange ideas and suggestions with other Linksys users and enthusiasts. Stay tuned for exciting new products and more. © 2018 Belkin International, Inc. LINKSYS, MAX-STREAM and PERFORMANCE PERFECTED are trademarks registered and/or owned by Belkin International, Inc. in the United States and other countries.